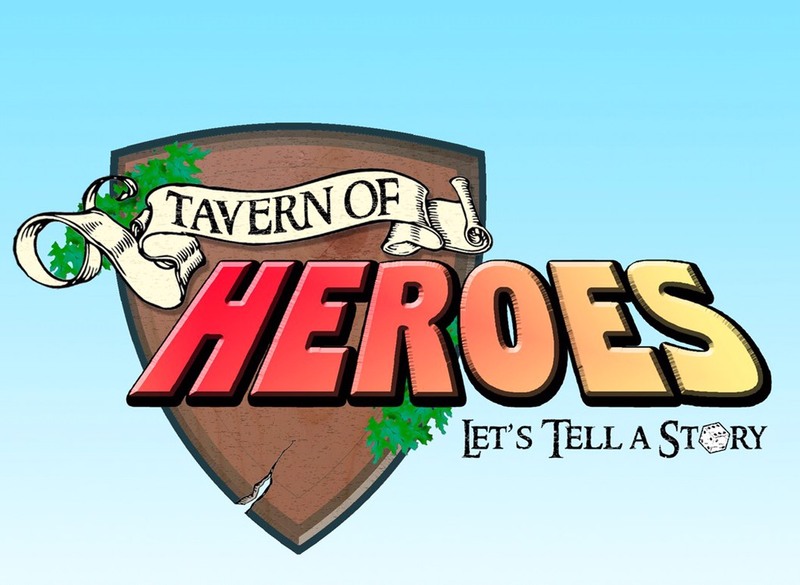 A podcast review is slightly out of our normal offerings but I had the good fortune of Michael Stagliano reaching out to me asking if I would be interested in hearing the pilot episode of his upcoming podcast called “Tavern of Heroes”. What is the Tavern of Heroes? The Tavern of Heroes is an organization of heroes in the capital city of Arronhall. The king needed heroes to take care of things that are beyond the scope of the city watch’s normal missions. Therefore the Tavern of Heroes was born. Tavern of Heroes is also the name of the podcast and the pilot episode is called “The House of Unending Shadow”. It’s Part 1 of a two-part adventure. Tormund Halbrook and Sheriff Ironwood hire a couple of heroes to rescue two missing soldiers from the city watch. The hired heroes, Tia and Arodyn, learn from the sheriff that the soldiers were investigating a peculiar house in Arronhall’s middle-district. The heroes gather some intelligence about the house and set off to rescue the soldiers. The head of the Tavern, Malar Nightbringer (follow him on IG @mnightbringer), warns the heroes to be careful because he is uneasy about this mission. Upon finding the house, Tia and Arodyn, are immediately taken aback by its dilapidation and foreboding appearance. Furthermore, they feel the “otherworldly sensation you get when you walk into a graveyard”. They enter into the house and immediately start their investigation. They waste no time throwing themselves headlong into intrigue and action. This is where Act 1 ends. Michael takes an opportunity to explain some rules of the game without getting too technical. But the episode isn’t over yet. The action resumes right away. I will say they find the soldiers. However, I won’t say what condition they are in. The heroes encounter a monster standing guard in the house and engage in spells and melee attacks. Though the encounter only lasts a short while – it was rich in detail and tension. The team takes a moment to heal up and continue the inquiry into the house. They encounter some prisoners and then make a macabre discovery. Before they can react, the two heroes find themselves ready to square off with a room full of undead. And then Act 2 is over. I listened to The House of Unending Shadow with my 10-year old daughter on the way to school. She and I both enjoyed the story and she was disappointed we didn’t have enough time to finish it in one playthrough. I’ll list out some of my favorite things about it below. But I want to point out the main thing here: I could tell this group enjoyed themselves immensely. I’m no audiophile but the quality of this pilot exceeded my expectations by a long shot. When I hear “podcast pilot” I generally think of scratchy recordings that sound like they came from an iPhone sitting in the middle of the table. That was not the case here. Michael put a lot into this production. The sound quality is great. The voice work by Michael, his brother Stephen, and Christine Lakin are excellent! I loved each character’s mannerisms and speech patterns, not to mention their voices. The background sounds helped deepen the mood and ambience of the whole experience. Furthermore, as a child of the 80s the intro/outro 8-bit music is brilliant! I can think of no other way to describe it. Good production can only get you so far. My dad is a mechanic and he always said a good-looking car means nothing if it can’t run. Well, when I looked under the engine of this Tavern-of-Heroes-Hotrod I was still impressed. These guys have written a rich and immersive story that could’ve just as easily been the foundation for a great fantasy novel; but they’ve put it to a tabletop roleplaying game instead. I found myself getting anxious when the characters were in a tough situation. I felt the gloom of the house as they approached it. When Tia and Arodyn accomplished something great, I celebrated with them. In short, I was invested in this story and I can’t wait to hear more. The regular reader of NZS Games will know that I love D&D and grew up on Advanced Dungeons & Dragons. While I will always look back on AD&D fondly, I love what 5E has done to the game. It streamlined a lot through simplification and I believe that streamlining has made the game more welcoming to new as well as younger audiences. I don’t know much about the system that they use in Tavern of Heroes except that it is the Stagliano brothers’ own design – and I like it! It’s slick and simple and I never I felt like the action of the show had to stop in order to interpret any rules or dice results. It was streamlined action and a clear understanding of what the players and Story Master were doing. The Tavern of Heroes will probably be the best new liveplay podcast of 2018. If you like other shows like Critical Role, Sneak Attack, Godsfall, and Adventure Zone then I think you should add Tavern of Heroes to your lineup. You won’t regret it. It pleased Michael to learn that I listened to his podcast with my daughter. They intentionally set out to make a PG-rated actual play podcast. However, I caution you to screen the first episode before you listen with young children. Especially if they are impressionable. The House of Unending Shadow is not a horror story, but I found enough in the podcast that may scare younger children. My child was not concerned but I cannot speak for everyone. The twins also shared with me that they designed the rules-system and the show to specifically target a broader audience of gamers. For decades tabletop RPGs have carried a stigma of ultra-nerdy, high barrier-to-entry, rules-heavy, long-winded playing experiences. Michael and Stephen are hoping to change that perception. With shows like Strangers Things and Game of Thrones, the time just might be perfect for a new wave of gamers to join the world of cooperative storytelling—one adventure at a time! Learn more at their website at www.tavernofheroes.com or their Facebook page at www.facebook.com/TAVERNOFHEROES/. They are also on Instagram and Twitter @mnightbringer. Subscribe to the podcast with iTurns at https://apple.co/2KRg9EL or wherever you get your podcasts.